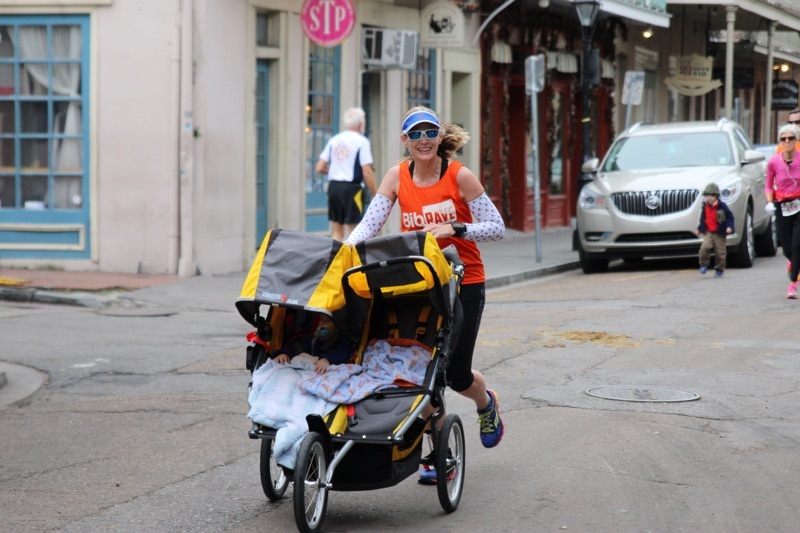 Falling in Love with Running AND a Perfect Bar Giveaway! Perfect Bar along with BibRave is sponsoring a giveaway for a sample pack of their yummy bars as part of their “Falling in Love with Running” campaign. Valentine’s Day is fast approaching (JUST A COUPLE DAYS AWAY!!) and all this talk about love has me thinking about one of the other loves in my life (besides my family and friends): RUNNING! People who know me or follow any of my social media accounts know I love to run. Running is my sanity. Running is my salvation. Running is my happy place. Between being a mom of two young boys, a wife, and working a full time job, life can get really hectic. When life hands me a bowl of stress-filled lemons, I squish them into lemonade one mile at a time. I love to go for a quick run to burn off the crazy. It re-energizes me and renews my strength to face whatever the day wants to hand me. Running also gives me a huge sense of self-accomplishment outside the everyday mundane. I love looking at my medal rack with my race medals. Each one of those medals signifies a huge accomplishment. I did that! I trained for that! I pushed, and sweated, and cursed, and crossed that finish line. I think I first fell in love with running several years ago when I decided to train for and run the Chicago Half Marathon as my First. Race. Ever. Yes, a half marathon as my first race. I’d never even run a 5k! I was either stupid or crazy or a little bit of both. I had been running off and on a few miles here or there as a way to stay fit. But at the time I was really more of a gym rat. Six miles was the farthest I had ever run. I was able to virtually train with 3 other girls I only knew through blogging. We picked Chicago as a good central point to meet up and race. We signed up and shared training plans. We encouraged each other and leaned on each throughout the training weeks. Race weekend came and we all finally met up in person. It was so wonderful to meet these women who were so supportive and encouraging during this huge endeavor. I remember distinctly the excitement and nervousness as we lined up at the start. I remember pulling back the pace and feeling good at mile 6. I remember hurting like hell at mile 11. Then, I remember crossing that finish line and feeling like a million bucks. I finished 13.1 miles and I had a medal to prove it. My first medal. The adrenaline rush. The runner’s high. I was hooked. I wanted more. I had fallen in love with running. 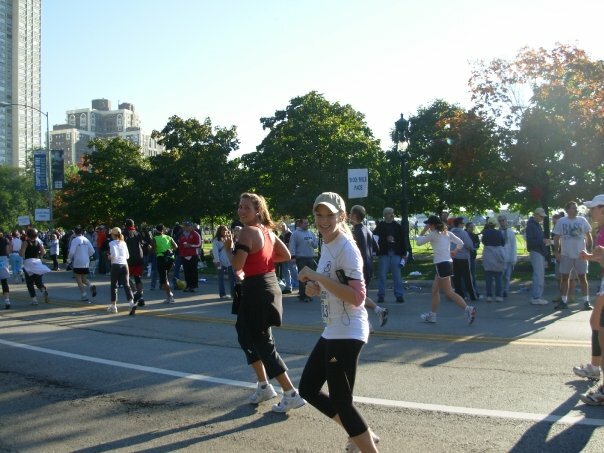 Running the Chicago Half Marathon in 2006. If you haven’t tried Perfect Bars, you should really check them out. I was given the opportunity to try out a sample pack of their bars, the same sample pack one of you guys can win. Oh. Em. Gee. They are to die for! They seriously taste like you stuck a spoon into a jar of nut butter and formed it into a yummy bar. These bars are so creamy and rich and delicious. Perfect Bar built their product from the belief that “whole foods are the only acceptable source of nourishment for your body.” These bars are made from real, whole, organic foods and no preservatives. They are sold in the refrigerated section of the grocery to keep the nut butter oils from separating and keep the bars fresher longer. And wow, you can taste it. These thing taste like they were just made and wrapped yesterday. So far I have tried the Almond Butter (creamy natural almond butter taste with a little crunch), the Peanut Butter mini (sooo peanut buttery and creamy! Very rich), the Fruit & Nut (nice nut butter flavor with a little fruit mixed in), and the Cranberry Crunch (a little lighter bar, not so thick. Good for a mid-day snack). They’ve all been great! I even ate the Almond Butter one before a long run recently with no stomach distress or GI issues. 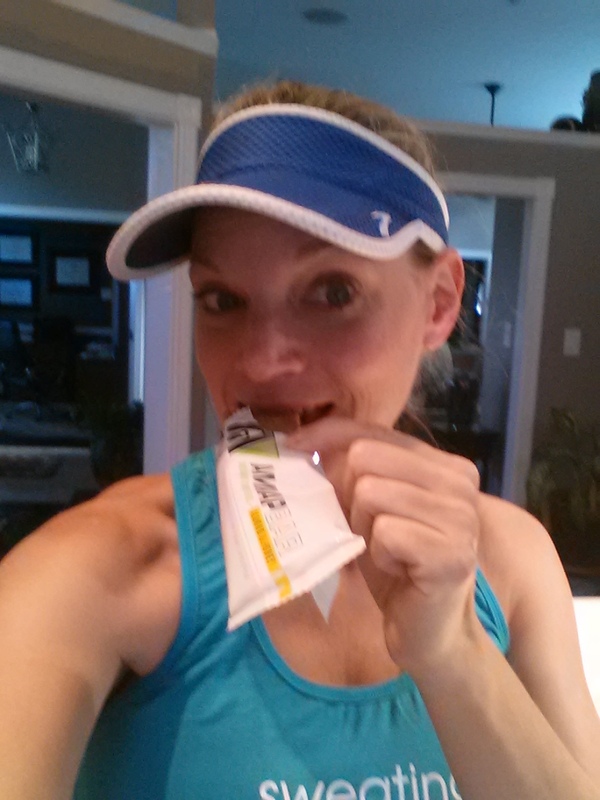 The high protein in combination with the complex carbohydrates in the bar really helped sustain my energy on the run. If you want to try out Perfect Bars you can order from them directly online or you can find them at health food stores and a lot of major grocery retailers like Whole Foods, Fresh Market, and Publix. There’s a great “Where to Buy” finder on their website. I was surprised by all the retailers near me that carry them. 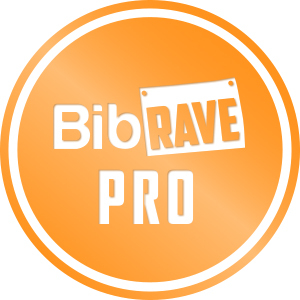 As part of the “Falling in Love with Running” campaign, Perfect Bar, along with BibRave have sponsored a giveaway of one sample pack to one lucky winner! All you have to do is click the link below and enter. One winner will be chosen at midnight on February 14th, so enter now! This contest closes quickly. Contest is only open to U.S. entrants. AMRAP Bars – Product Review and Giveaway! As part of the Sweat Pink Ambassador program I was given the opportunity to try out and review three new bars from AMRAP Nutrition. I was sent three flavors: Almond Honey, Cashew Vanilla and Fig and Cacao. These bars were sent to me for free in exchange for my honest review. All opinions are strictly my own. With the baby sitting right on my stomach (35 weeks! Whoohoo!) I’m having a really hard time eating and keeping a lot on my stomach. If I eat anything too large or heavy I’m miserable and nauseated the rest of the day. I’m turning to bars a lot because they don’t sit heavily on my stomach but offer a nutrient dense food option. So, I was excited to try these out. As Many Rounds As Possible (AMRAP) defines our philosophy. Through determination, intensity, and focus, we aim to inspire and empower our community to reach their full health and fitness potential. Join us and together we will change the world. To maximize efficiency, AMRAP bars are packed with complete natural proteins and amino acids to repair your muscles. Most importantly, all these bars contain the optimal fat to carb ratio that increases lean mass and energy and is the crucial component for overall health and body composition. I LOVE the mission statement for these things. As Many Rounds As Possible. So. Freaking. Cool. I’m a big label reader too. So many fitness bars are just loaded with refined sugar and preservatives. The bars get their sweetness by using dates. I like how few ingredients these have – very few and ALL recognizable and pronounceable. For example, the Fig & Cacao flavor has the following ingredients: dates, egg white protein, figs, almond butter, almonds, unsweetened coconut, cacao nibs and coconut oil. That’s it! 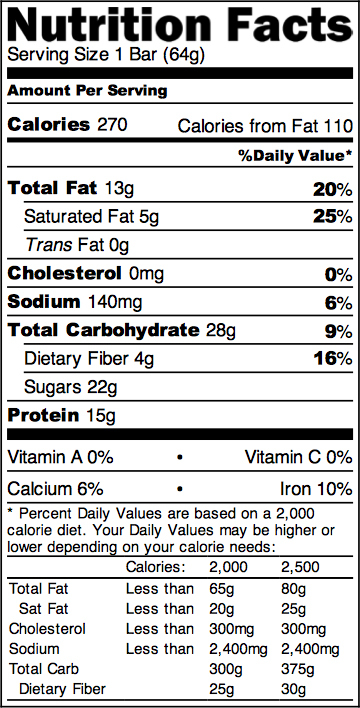 I’ve attached the nutritional information for each bar below. THE TASTE! The almond & honey bar was my favorite (sea salt, cinnamon and raw honey…mmmmm). So yummy! I could really become addicted to these things. The high protein content. At 12g to 15g a bar, they pack a nice little protein punch and help you stay fuller longer. Usually high protein bars can be really chalky and gummy. Not these babies! The dates and nut butters really make the bars palatable without any weird after tastes. The fiber content. Often there’s a trade off between either high fiber or high protein bars. These bars offer high protein and a great 3g to 4 g of dietary fiber. The limited ingredient content. I know what I’m putting into my body with these things. They are made in the USA! USA! USA! These bars were designed primarily for the CrossFit athlete but I can really see me using these bars for my long run fuel. I try and aim for something with a high protein and high carbohydrate mix that digests easily and sits well on my stomach. The AMRAP bars fit the bill. I’ve had zero stomach distress from these bars and I can see them really sustaining my energy levels for a long training run. I’m anxious to try them out come my first post-baby long run! AMRAP bars launch today! For a limited time they’re offering a 12-count variety pack for a discounted price of $45. The first 2,500 customers will receive an added bonus of extra prizes, ebooks, and coupon codes. You can browse their products here. AMRAP has also allowed me to giveaway an 8 pack of bars ($32 value) in any flavor to THREE lucky winners!! You can enter by clicking one of the links below! This giveaway is open to U.S. and Canada residents. Good luck!